Description: Founded in 1927, the University of Houston is the leading public research university in the vibrant international city of Houston. Each year, the University educates more than 36,000 students in nearly 300 undergraduate and graduate academic programs, on campus and online. UH awards more than 6,500 degrees annually, with nearly 200,000 alumni. The University’s Science and Research 2 building is home to the University’s College of Natural Sciences and Mathematics, Department of Biology and Biochemistry, and College of Pharmacy. Due to a crack on the topside, the Science and Research 2 building’s main eight-inch cast-iron combination forced / gravity sanitary drain line would leak when it was charged or during heavy rains. The recurrent leaks posed a health safety concern for all occupants of the building. The drain line, located on the basement ceiling, originated at a lift station and exited at a manhole. Access to the line was not possible due to the amount of utilities and limited crawl space. Conventional repairs or replacement was not feasible from an operations or economical standpoint. TDT Plumbing implemented its innovative Cured-In-Place Pipe Liner technology. 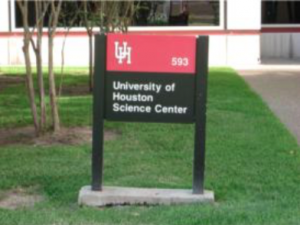 Working closely with various U of H engineering and maintenance staff, a strategic plan was developed to restore the integrity of the drain line and not impact daily operations. TDT Plumbing designed 180 linear feet of liner and was able to restore the drain line to better than new in less than four days.